Medicom revisits Heath Ledger's Joker with this Dark Knight Miracle Action Figure Ex Version 2.0 with one of the most detailed figures on the market. 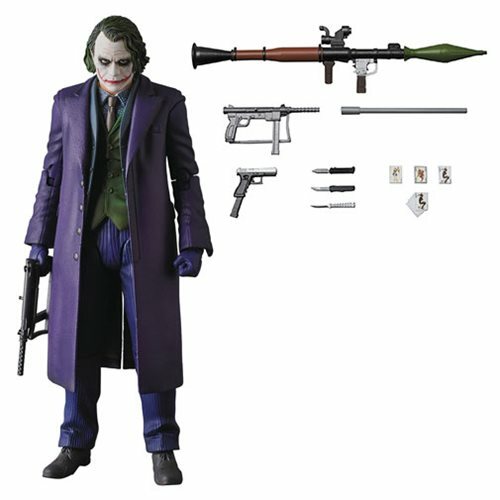 Standing just over 6-inches tall, this chilling reproduction of the sinister master criminal from The Dark Knight includes alternate heads and hands, plus a full arsenal of weapons to recreate many of his signature moments from the film! This version features all 3D-printed head sculpts and accessories! Ages 15 and up.